We have many employment opportunities at the Outdoor Learning and Retreat Center as well as our sister companies! 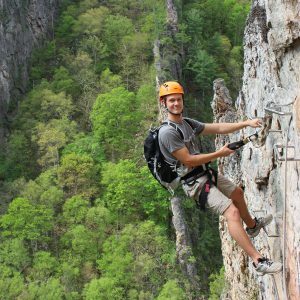 We are in the business of designing powerful outdoor educational programs, creating safe and memorable events, and providing the folks that stay with us an opportunity to enjoy the Shenandoah Valley in a number of different ways. With a year round team of professional staff to handle all the logistics and planning, we are pretty well setup to support or create whatever our client groups are looking for. However, to make those plans a reality, we look to hire 10 to 12 “OLRC Instructors” to work from approximately March 15th to November 15th each year. With the heart of our work centered around outdoor adventure and education, and our largest customers being K-12 school groups, we are looking for folks with a passion for the outdoors and a love of working with kids. Our ideal candidates have backgrounds in camp, outdoor recreation programs, classroom teaching, or environmental education programs. We also look for folks who see employment with us as a natural step towards a career in outdoor and environmental education or traditional classroom education. 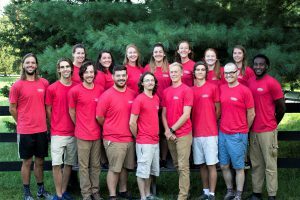 As an “OLRC Instructor” you will find yourself in a close-knit community of educators and instructors who strive to enrich the lives of our participants through outdoor adventure challenges, team building facilitation ,and environmental education. And with the goal of quality professional development at the core of our business, we are proud to offer top notch training and inservices to the folks that work alongside us. Competitive pay, onsite housing, meals during programing, and access to a network of outdoor businesses also add to the perks of working with us. However, the part that we are most proud of is the culture that we create as a team here at the OLRC. Between the managers and the instructors, we work very hard to create an atmosphere conducive to learning and growing as an outdoor professional. And we work really hard to make this feel like your home away from home. From monthly team dinners to weekend trips to go hiking together, we become a close knit family over the course of the season. It makes for a good season and it is one of our favorite parts about the type of work that we do. If you are interested in applying please reach out to our Human Resource Manager, Katie Hanley at hanleyk@horizonsva.com. She will be able to answer any questions you have about the position and get you started on the application process. This position is out of Circleville West Virginia at our sister company, NRocks Outdoor Adventures. These positions are for both cooks and line staff. This person need a CDL with Passenger Endorsements and Air-Brakes. They likely get 15-20 hours per week would need to be available for part-time/seasonal employment through the OLC Spring season (March- mid-June) and again in the fall (August-November).